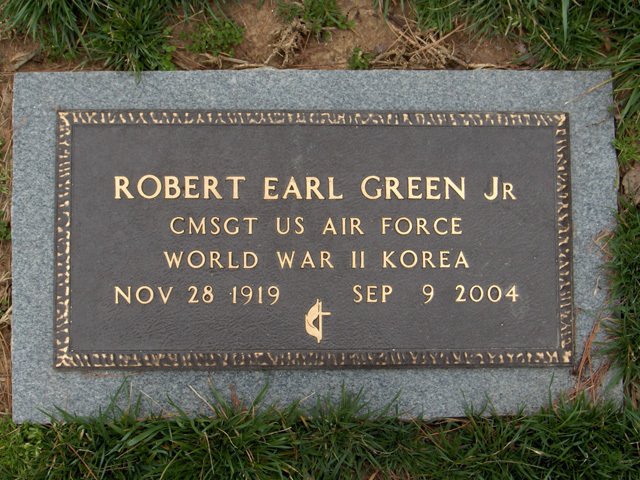 Robert Earl Green, Jr., age 84, of Marble Hill, MO, passed away Thursday, September 9, 2004, at the V. A. Hospital in Poplar Bluff. He was born November 28, 1919 in Malden, MO, son of Robert Earl Sr. and Grace Blades Green. He and Jane P. were married on March 12, 1947. 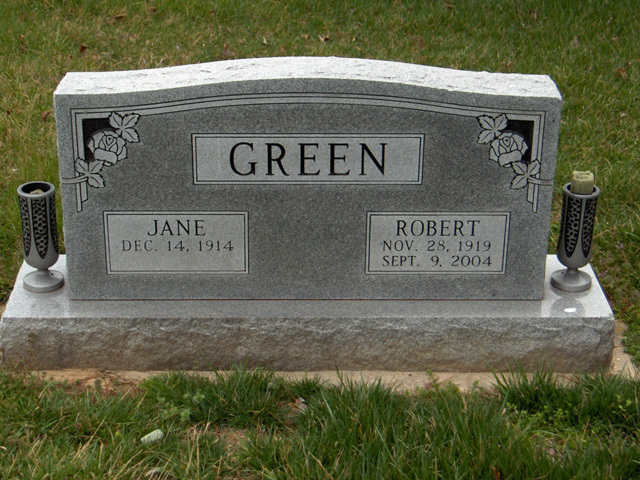 Mr. Green was a member of the United Methodist Church and the United Methodist Men Club in Marble Hill, Optimist club of Marble Hill, Bollinger County Chamber of Commerce, City of Marble Hill Alderman, President of the PTA in Malden, Board of Public Works in Malden and a President of the Kiwanis Club in Malden. He served his country in the United States Air Force for twenty two years during WW II in the South Pacific and the Korean War as a Chief Master Sergeant. Survivors include: his wife Jane, one son; Robert Earl Green III of one daughter, Darlene Houchins of Marble Hill, two brothers, John Green of Dutchtown, T. B. Green of Malden, one sister, Ella Hutchcraft of Sedgewickville, MO and four grandchildren, Julie Kintner, Derek, Adam Green, Jared Houchins. He was preceded in death by his parents, and two brothers Woodrow and Charles Green. Visitation will be Sunday, September 12, 2004 from 5:00 PM to 8:00 PM at the Liley Funeral Home in Marble Hill. Funeral Service will be Monday at 10:00 AM at the Funeral Home with Rev. Michael Kelpe officiating. Burial will be in the Bollinger County Memorial Park Cemetery near Marble Hill with full Military Honors provided by the Missouri Military Honors Team.